Performers include: Aaron Mahnke (narrator); Colm Feore, Adam Goldberg, Robert Patrick, Holland Roden, Campbell Scott, Kristin Bauer van Straten, Kristen Cloke, Jason Davis, Joe Knezevich, Bethan Anne Line, Clark Moore, Cathal Pendred, Caroline Arapoglou, Michael Bullard, and John Byner. 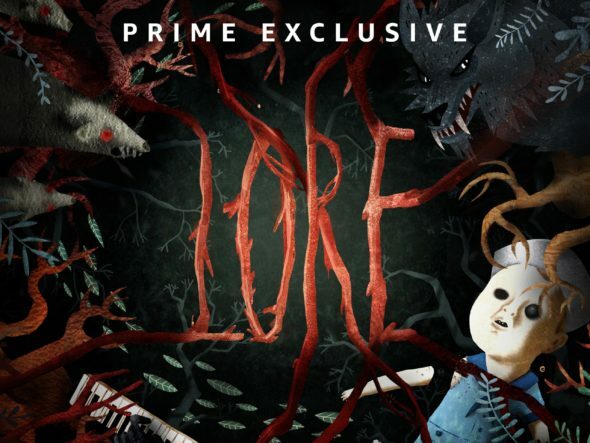 Based on the podcast from creator Aaron Mahnke, the Lore TV show is an episodic horror anthology. Each episode delves into the real people and stories which inspired modern myths and legends. Narrated by Mahnke, the series uses a combination of documentary footage, historical mixed media, and cinematic scenes to delve into the origin stories behind the horror genre. From vampirism to icepick lobotomies, changelings to hauntings, and werewolves to cursed dolls, Lore tells true, terrifying tales. What do you think? Do you like the Lore TV series? Should this Amazon TV show be cancelled or renewed for another season?